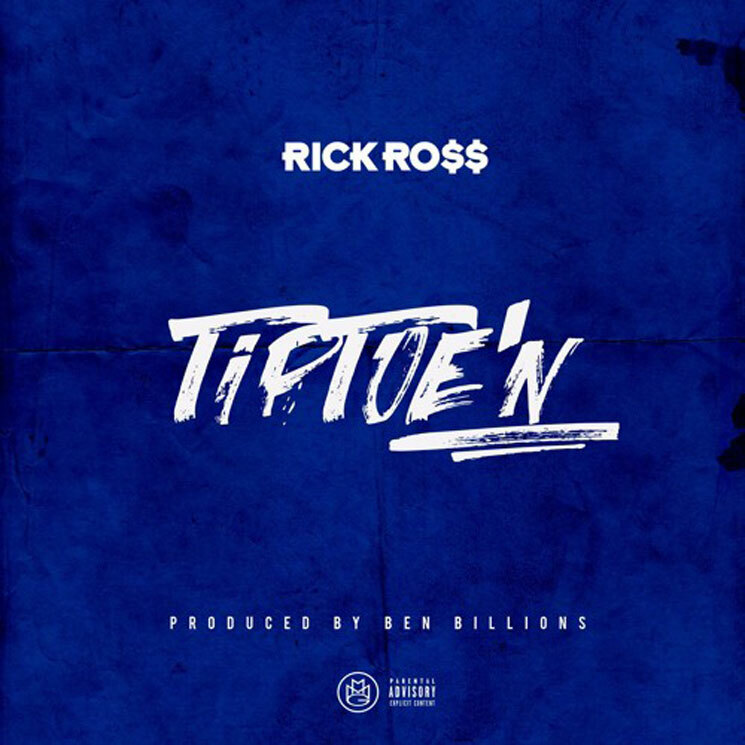 After delivering his Rather You Than Me LP earlier this year, Rick Ross has returned with new standalone track "TipToe'N." The Ben Billions-produced cut finds Ross "TipToe'N" out of the bank, hoping you don't see him so he can escape back to the life of "cigars in the morning, lobster in the omelette" and a house with waterfalls. You can take in the track in the player below. Ross recently teamed up with Action Bronson for "9-24-7000."